A lover of roaring engines and race cars since he was a child, Laurent Ferrier still recalls the poster in his bedroom of a Triumph Spitfire racing in Le Mans. His passion brought him to drive racing cars on some of the most prestigious tracks taking part in the Le Mans 24 Hours race seven times and with excellent results: 1st place in the 2-litre prototype category in 1977 and, in 1979, 3rd in the overall rankings driving a Porsche 935T. 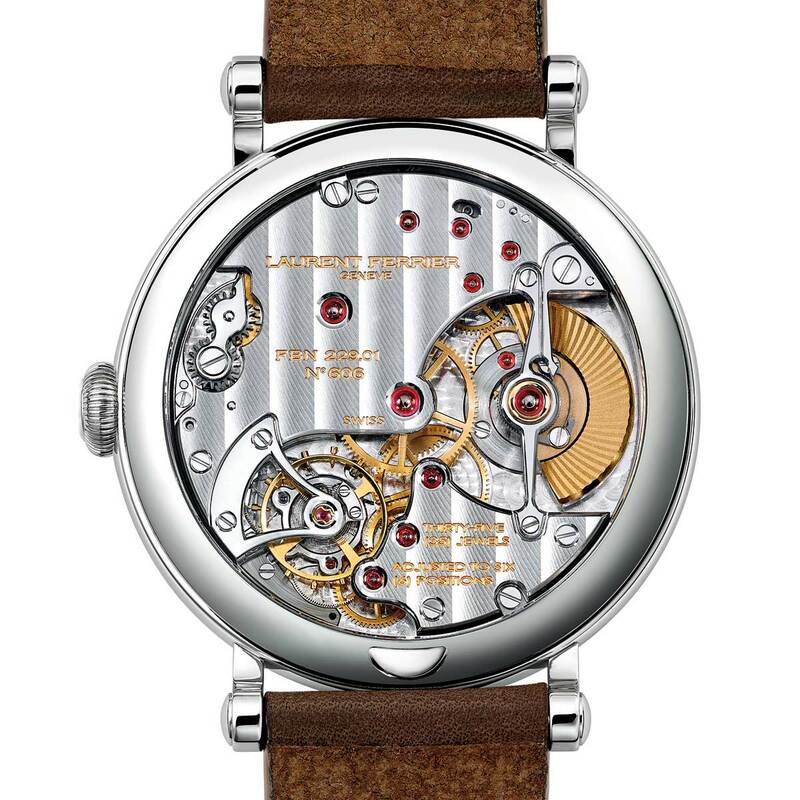 As a watchmaker he often took, and still take, inspiration from motor sports and British racing cars in particular. 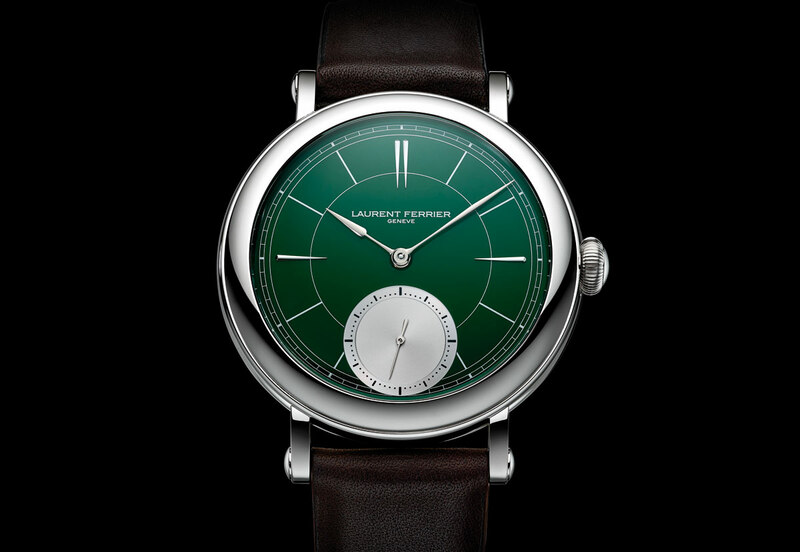 On occasion of the participation of the brand to the London Craft Week 2018, Laurent Ferrier presented today a particular version of its Galet Micro-Rotor “Montre Ecole” which will certainly attract the many lovers of the British racing green, the international motor racing colour that United Kingdom used till the end of 1960s. 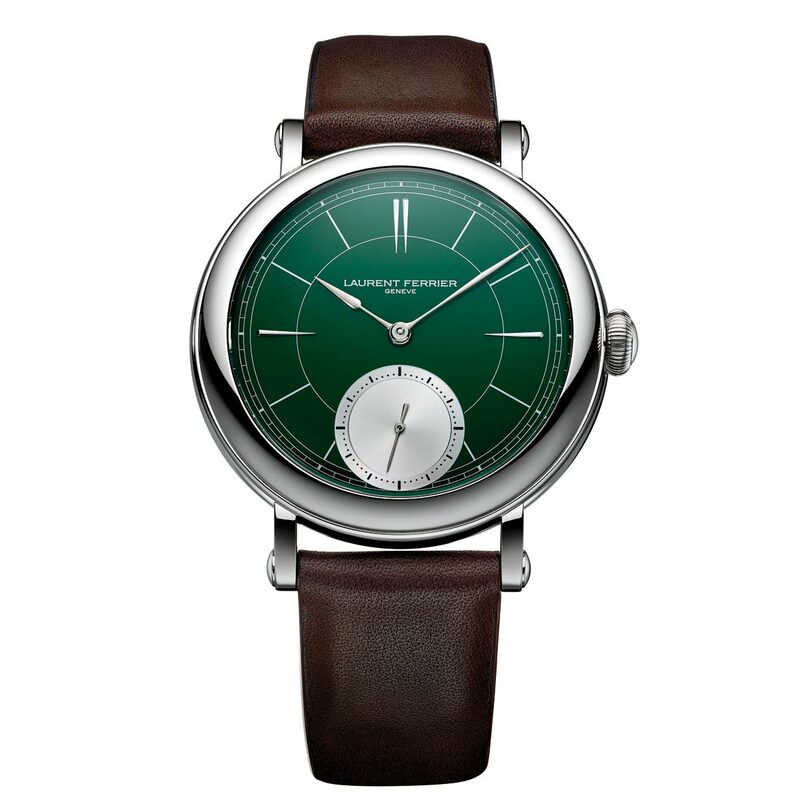 The green lacquered dial features a silver sub-dial which reminds the car rims while the minute-railroad and the hour markers are a nod to speedometer. The dark brown leather strap is inspired by the bonnet straps that were very common in the 1960s. The 40 mm x 10.70 mm stainless steel case has the “School Piece” shape that was introduced at the beginning of 2017 taking inspiration from the first timepiece that Mr. Laurent Ferrier created in his watchmaking school years, a pocket watch characterised by lines and finish typical of the 19th century tradition. On the back side, the sapphire crystal displays the beautifully refined Calibre FBN 229.01 and its 18-carat solid gold micro-rotor. Although a small oscillating weight requires as twice as many rotations (300 vs. 150) needed for one complete turn of the ratchet wheel because of its lower inertia, Laurent Ferrier greatly improved the overall efficiency of the system delivering a comfortable power reserve of 72 hours. This result was also possible thanks to the exclusive silicon escapement with double direct impulse on the balance. In fact, by maximising the restitution of energy, this escapement serves to reduce the torque required to wind the mainspring. 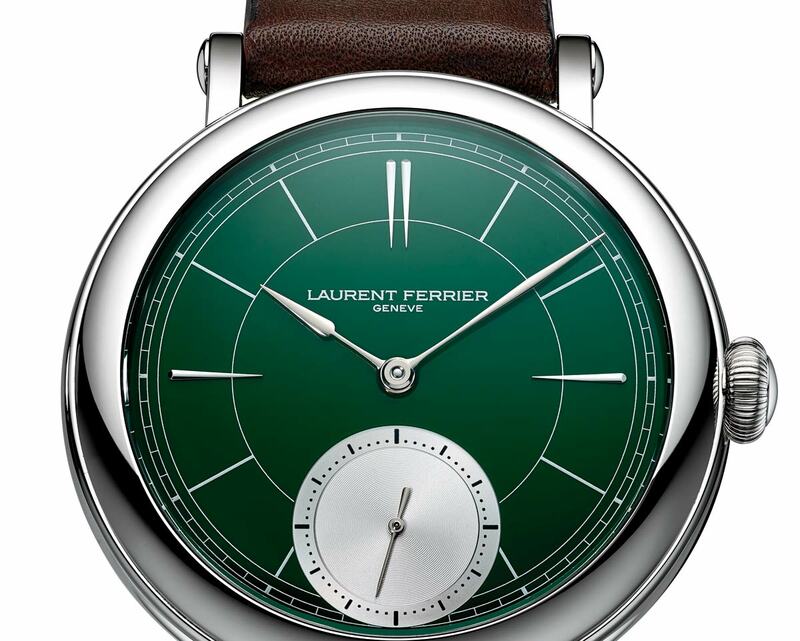 This article was first published in Time and Watches Magazine: Laurent Ferrier – Galet Micro-Rotor “Montre Ecole” British Racing Green. Thank you very much.